If you are a Chemistry Honours student and your heart is set on Media Studies or you are looking to upgrade your CV, then short term and certificate add-on courses are what you desire. 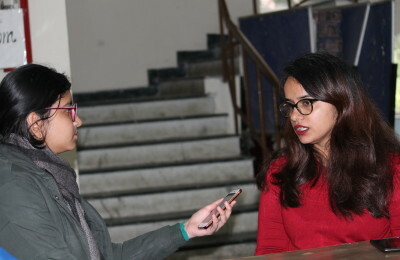 Every year, usually from August to November, various colleges in the University of Delhi open select, part-time vocational programmes for undergraduate, postgraduate, and international students. While language courses are already popular, it is the career-oriented courses that are now quickly becoming most sought after. The certificates for these courses are issued by the respective colleges, and the classes are held after regular college hours for the convenience of the students. The minimum qualification for all courses is 10+2 examination. Students from outside can also apply. Video Production- The course is for 5 months in association with RK Films & Media Academy. The classes will take place after regular college hours. Photo Journalism- The course is for 5 months in association with RK Films & Media Academy. The classes will take place after regular college hours. According to various media organizations, Ramjas College offers 26 add-on courses; the highest by any University of Delhi college. However, on the official website, there is no information related to the same. Hans Raj College offers three job-oriented add-on certificate courses in the field of media and advertisements. These courses are organized by RK Films & Media Academy. Admission is on a first come, first serve basis. The classes will be two or three days a week, after 3 pm. Jesus and Mary College, in collaboration with the RK Films & Media Academy, offers three job-oriented add-on certificate courses in the field of media and advertisements. All programmes will run for 6 months and cost Rs. 15,000. The classes will commence by the first or second week of August, for two to three days a week, after 3 pm. The information about duration, schedule and fee will be soon updated on the college website. Admission forms will be available from 3rd July to 28th of July, 2017 between 10:00 AM to l:00 PM on all working days. The course fee is Rs.13, 000. The college offers an array of additional courses to cater to the interests of students. The college offers one-year certificate courses in French, German, and Spanish in collaboration with the Department of Germanic and Romance Studies, University of Delhi. For more information, please visit the college website. Minimum Qualifications: B.Sc. in any life science branch. Fee: No fee will be charged for this course. The course will be conducted in ‘Amba Dalmia Resource Centre’, a part of the college library. Part time Courses in French, German, Mandarin (Chinese), Russian, and Spanish Language. Candidates who have passed 10+2 with an aggregate of at least 45% marks are eligible to apply. For more information, please visit the website. Eligibility Criteria- Students of Sri Venkateswara College pursuing degree programs in any subject may apply. Selection will be done on the basis of merit. Duration of the Course: August to November 2017. The classes will be held on Saturdays & holidays. Eligibility Criteria- Candidates who have passed 10+2 with an aggregate of at least 45% marks are eligible to apply. Duration of the course – August to November. The classes will be held on Saturdays and holidays. For more information visit, please visit the website. Duration of the course – 1 year. The classes will be held on a weekly basis. Business Data Analytics in collaboration with BSE Institute Ltd.
Mastering the Stock Market- an Experiential Learning in collaboration with BSE Institute Ltd. Integrated Course on Financial Market in collaboration with BSE Institute Ltd.